As per Kendra's recommendations in the comments on my "Wait, you like that movie? But it was made after 1970!" post, I watched A Single Man last night. The film is about a man (Colin Firth) who has been emotionally crippled by the loss of his partner (Matthew Goode) of 16 years, until one day he decides to kill himself to end his grief. All of the events in the movie take place on this one day, with flashbacks showing his life with his partner and the day that he died. It's an incredibly beautiful movie, (it was directed by fashion designer Tom Ford) but it's also incredibly painful. It's perhaps the most accurate portrayal of deep grief that I've ever seen in a movie. No matter what you do, no matter how you try to go about your daily life and perform regular tasks, that grief is still eating at your heart. Even during sleep, the sole break from the agonizing pain during the day, the grief creeps into your dreams and turns them to nightmares. A Single Man has another element of sadness that absolutely crushed my heart. Since the film takes place in the 1960's, the fact that Firth and Goode were gay partners, not a conventional husband-and-wife couple, means that Firth isn't even allowed to attend the memorial service. He isn't able to speak about his grief in public. He isn't able to address his emotions outside of his home and in the company of his best friend. His hurt wells up inside of him for months until he's just had enough. Two other films that, I think, handle the topic of grief very well are My Reputation and Don't Look Now. My Reputation stars Barbara Stanwyck as a young widowed mother, trying to resume life after the death of her husband. The film handles public preconceptions about grieving -- when is a good time to date after your spouse has passed; should one wear black for eternity after becoming a window; should life go on as usual or come to a screeching halt. Stanwyck's is a very complex character-- she encourages her sons to go about life as if nothing happened, she refuses to wear black and fall into the mold of being a widow for life. Yet, despite her exterior resilience and perseverance, she's really fragile and enfeebled by his death. That is, until she meets a new man (George Brent). Her internal despair is softened by a new love; she is pulled from the pit of grief and able to live a relatively normal life again. And yet, her mother and her friends would prefer that she still be sad, alone and mourning because of society's taboos. Don't Look Now is a horrific tale about a couple (Donald Sutherland and Julie Christie) who try to come to grips with the death of their little girl, who died in a drowning accident at their home. They go to Venice to escape the memories, and yet they find nothing else but. An old blind woman tells Christie that she can see the spirit of their daughter. Sutherland sees a vision of his daughter running around the canals of Venice wearing the red raincoat she had on when she drowned. They are haunted by their grief, and eventually destroyed by it. People mourn in different ways. In my own family I've seen opposite sides of the spectrum. My paternal grandmother grieved for my grandfather for six years, from when he passed away until she did. My parents couldn't even get her to leave the house for months after he died, she was so inconsolable. My maternal grandmother handles grief much differently; no matter if the deceased is a best friend or distant relative, she talks about the food at the funeral and then moves onto discussing her favorite tv shows within minutes. She doesn't dwell on death, and just accepts it as a part of life. As an emotional basket case and someone who is terrified of death and saying goodbye to loved ones, I empathize more with the characters in films who feel the weight of grief so heavily on their shoulders that it practically crushes them. 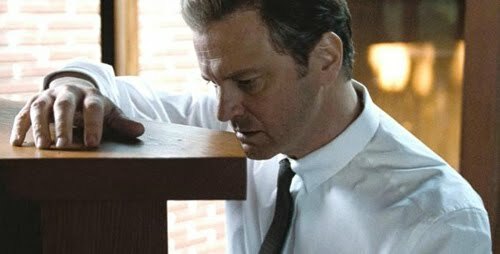 I can completely understand Colin Firth's character, and how he's driven to giving up when every minute of his life is consumed by thoughts of his partner's absence. And while I'm definitely not a suicidal person, I do know that the loss of certain people in my life will certainly result in life-long therapy. I thought A Single Man was exquisite and amazing, as well. Very very heavy thematically but so important. I also think it was a very important and sensitive portrayal of a gay couple's relationship. Specifically, I think it goes against so many portrayals of the gay men's culture as being just about promiscuity and instead reminds that love is love is love. 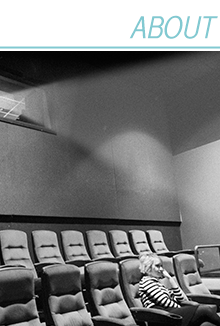 The difference which is subtlely hinted at in the movie is that even though many gay relationships are founded on the same levels of commitment, authentic intellectual and emotional connections as straight ones, the legal and social systems of the past and even many of the present still fail to recognize and legitimise this. I could go on and on. It was just a work of art. I'm so glad you watched A Single Man because I thought it was such a work of art and Colin Firth was so amazing in it. I agree, it is very hard to watch and soul-crushing, but it's also very visually beautiful, poignant, and realistic. Kudos to Tom Ford. I was sad it was largely overlooked at the Oscars. Surely it was better than Avatar...surely. so glad you enjoyed a single man - it is certainly one of my favorites. though it isn't one I would watch too frequently. I really, really want to see A Single Man. Colin Firth is a great actor. I also want to see the other two you recommended. This is a great post. I love how you tied in three films and put in your personal perspective. I saw A Single Man on the flight home from France last spring, and found it so moving that I lobbied to have it screened by the honors program's film series at my school this semester. It was beautifully written, and Firth's performance was outstanding. I will definitely have to see A Single Man and My Reputation. I have seen Don't Look Now, it is a very realistic look at grief. It is sad, but very few movies have ever dealt with the subject, something which all of us will experience at some time in our lives. An amazing post, KG. I really need to watch A Single Man - everyone who has seen it (that I listen to on the subject of film tips, at least) adores it. The other two films are also unfamiliar to me, but your descriptions of them interested me. My paternal grandparents are more like your maternal grandmother - they just talk about something else after briefly having expressed their sadness. I think it might be a generational thing to some extent. Anyway, I guess all families have experienced excruciating grief (and otherwise they will eventually), and hearing about films that handles the subject in a delicate but realistic way is a relief. Thank you! 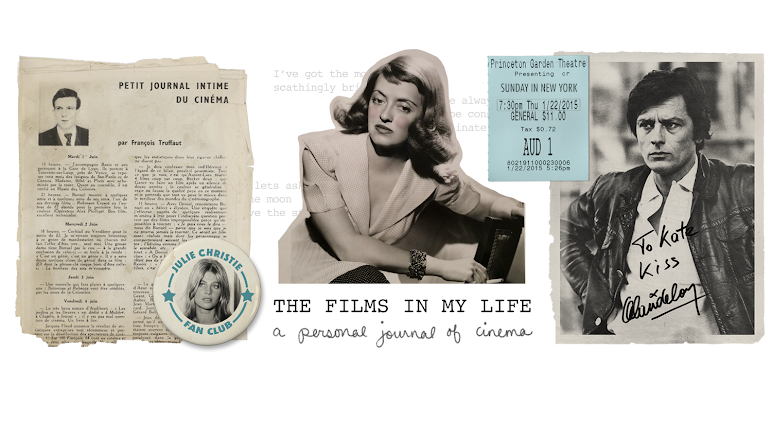 I was browsing your blog for literally hours, amazed by how much of the old stars of hollywood you have here. Then I checked your dvd collection and it's a treasure. I was just curious to see if I could by any chance request some copies. one aspect of the film bothered me, and apparently no one else. In fact, what I see as a problem was also paradoxically a great virtue. the images are all given the same weight: a human face, a belt, a flower, a cloud. The photography is beautiful. But there is no differentiation in treatment between the human and some insensate object. They are the same, and this is an implicit contradiction of the main theme of the movie.